Are Babies Who Are Born in The Summer Happier? 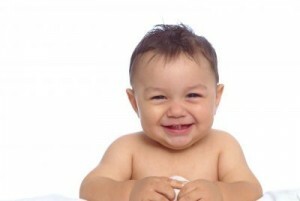 Home » Are Babies Who Are Born in The Summer Happier? Could the season that your baby is born into affect how happy they are in life? Scientists believe so following a small study that showed that babies who born in the Summer may cope better with change. Their research theorizes that the amount of sunlight a child is exposed to during the first few months of birth can affect how fast their body clocks moves, which could have an effect on mood disorders later on. The study used mice, varying the amount of sunlight they were exposed to early on. Some where placed in settings where they experienced up to 16 hours of light each day, mimicking the summer season. Other infant mice were only exposed to 8 hours of sunlight, mimicking a winter birth. The mice were then placed in opposite cycles, before being moved into a completely dark setting. Those who experienced large amounts of light early on were able to cope with the change in light, and kept their daily routines steadily. The others who had lowered amounts of light, however, were less able to cope with the changes. The researchers believe the amount of light the mice received early on could affect how they are able to handle changes. show an exaggerated response to a change in season that is strikingly similar to that of human patients suffering from seasonal affective disorder. This research could explain how light affects the human brain during the early months of life. The biological clock can be set by how much seasonal sunlight an infant receives. This can then affect how that child is able to handle changes and stress as they grow. ‘Our biological clocks measure the day length and change our behaviour according to the seasons. ‘Several studies show that people born in the winter months have an elevated risk of mood disorders such as seasonal depression, bipolar depression and schizophrenia – all of which are associated with disruption of normal circadian rhythms. The season of birth can affect many different aspects of our development. Previous studies have found that infants born in the winter are more prone to allergies, thought because of the small amount of vitamin D they are exposed to early on. However, children born during the summer are more likely to be shortsighted, possibly because the intense sunlight affects the delicate fibers of the eyes. Does Birth Order Affect Your Child’s Personality?